Meeting of bishops to "reorganize" the Federation. 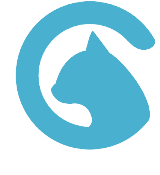 This led to the creation of SCOBA in 1960. On today’s episode of the American Orthodox History podcast, I interviewed SOCHA executive director Fr. Oliver Herbel on the subject of the “Federated Orthodox Greek Catholic Primary Jurisdictions,” a 1943 attempt to create a national, pan-Orthodox organization. The Federation is to SCOBA what the League of Nations was to the United Nations. Both the Federation and the League of Nations were missing a crucial player: the Federation lacked the involvement of the Russian Metropolia (today’s OCA), while the League of Nations didn’t include the United States. Both SCOBA and the UN were essentially trying to do the same things as their predecessor organizations, but they were obviously more successful and long-lasting. In a way, then, the Federation was SCOBA. Metropolitan Antony is indeed the right-most suit-wearing hierarch, standing near the center of the picture. However, I don’t know who most of the other men are. Certainly, the bishop in the white hat is Metropolitan Leonty Turkevich, and I assume the bishop in between Antony and Leonty is Archbishop Michael Konstantinides of the Greek Archdiocese. Abp Michael died on July 13, 1958, so if he’s in the photo, we can be sure it was taken before that date. 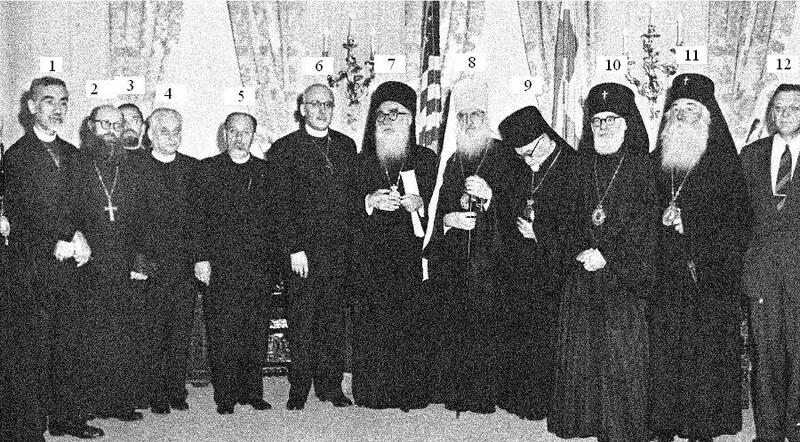 His successor, Abp Iakovos, is not in the photo, which further suggests a date of 1958 or earlier. I doubt that all of the individuals in the photo are bishops. In fact, it may be that Bashir is the left-most bishop in the photo, as all the men to the left of him look like priests. It may interest you to know that Archbishop Michael, also in the Dec. 2 picture, had studied in Kiev and that one of his teachers was the later Metropolitan Anastassy of the Russian Chuch Outside Russia. Michael went to London as the priest at the St. Sophia Cathedral, and was granted the extremely rare title of Great (or “Grand”) Archimandrite. He then was elected Metropolitan of Corinth in Greece, from which position he was elected Archbishop of North and South America. As more identifications come in, I’ll continue to update this article. And once again, thanks to all those who have sent in identifications so far. It is definite that the man pictured second from the left is Protopresbyter George Grabbe, Cahncellor of the Synod of Bishops of the Russian Orthodox Church Outside of Russia. The ROCOR had been very involved in the precursor of SCOBA, and participated in the organizational meetings of SCOBA, as well. The ROCOR withdrew when informed that the Bishop in charge of the Moscow Patriarchal parishes in America would be invited to join SCOBA. That did not occur, but the ROCOR never returned to the table. Fr. Alexander, thanks very much! I will update the posting with this information. I contacted His Grace, Bishop Tikhon (Fitzgerald), retired OCA bishop of the Diocese of the West, and asked if he could identify the clergy in the photograph. 1. Archbishop IHOR, Holy Autocephalous Ukrainian Orthodox Church in Exile. 2.Archbishop Palladios, Holy Autocephalous Ukrainian Orthodox Church in Exile. 3. Bishop Bohdan Shpilka, Ukrainian Orthodox Church of America, Ecumenical Patriarchate. Number 10 was familiar to Bishop Tikhon as a leading clergyman of the Greek Archdiocese, but he could not remember his name. In any case, this information is very helpful, and I believe we should express thanks to Bishop Tikhon for his assistance. Please inform Bishop Tikhon that we at SOCHA do appreciate that he was willing to take a look at the photograph and name most of the people in the photograph.